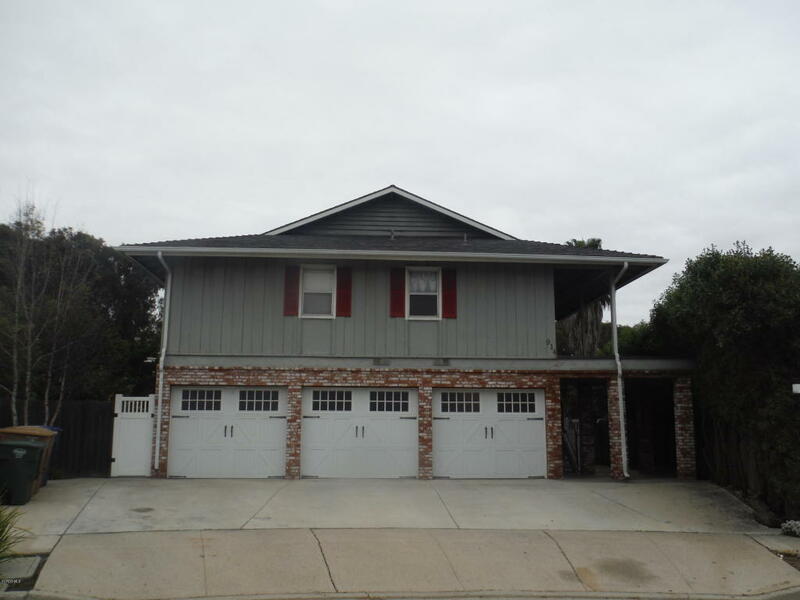 Rare Ventura Keys Duplex on HUGE parcel. Large floor plan 3+2 upstairs 1, 565 sq ft +/- and 2+2 downstairs 1, 250 sq ft +/-. 8, 555 sq ft parcel. In the past City of Ventura has allowed a 3rd unit to be built on parcels of this size. Buyers to verify with city the suitability of this property for their intended use. New sewer line.